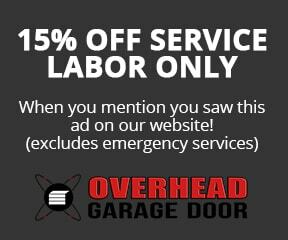 LiftMaster Garage Door Sales & Installation | Overhead Garage Door Inc. Overhead Garage Door, Inc. offers a complete line of residential and commercial LiftMaster garage door openers and accessories. Options include space-savers, higher HP for maximum lifting capacity, quiet operation and standby power system for full operation in the event of a power outage. We’re sure to have the opener to suit your needs. Get in your garage everytime, even when the power is out. This revolutionary DC belt drive offers quite operation and comes fully equipped with MyQ® enabled technology and the Timer-to-Close feature. Get maximum power for the heaviest garage doors with our new Elite Series® 3/4 HP AC chain Drive Garage Door opener. It is built to provide maximum power to lift the heaviest doors including carriage house and solid wood doors. Maximize the space in your garage with our space-saving wall-mounted opener. It is fully quipped with MyQ® technology and even has an optional standby power system that will continue working, even when the power goes out.